How quickly do you notice prime numbers? practise in this fun card game! As you try to you’ll develop speed and understanding. This game works best with more than 2 players, and it gets more exciting the more players you have! Study the first few prime numbers as you prepare to play. Remember the value of an Ace is 1. Shuffle the cards and deal them face down to the players and ask the players to arrange their in a pile. Each round consists of all the players turning over the first card in their pack in an outward motion, giving every player a fair chance of seeing the card as it's turned over. When a prime is played, the first player to call out "prime" takes the card and any others that may be in the stack. If there's a tie, the pile should remain in the centre and play should continue. If the number turned over isn't a prime number, leave the cards in the centre of the table until a prime number appears and the cards are won. 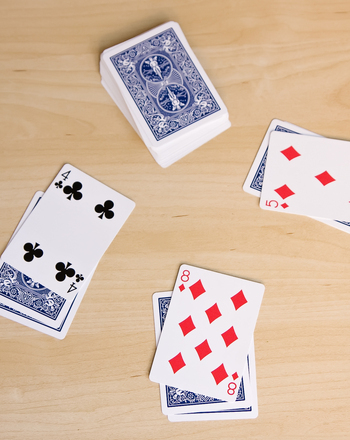 After a player wins cards, they must shuffle them into their deck before the game can continue. Play until one player has all the cards or set a time limit on the game and stop when time is up. The player with the most cards at the end of the game wins. What is a prime number? A number is prime when it is only divisible by 1 and itself. Help your little mathematician recognise prime numbers. 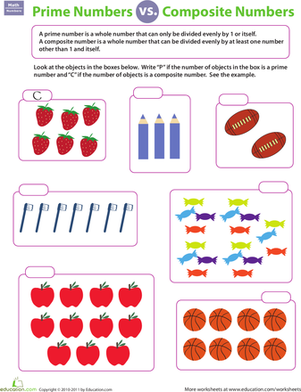 Help your child get to know his prime numbers with this challenging practise sheet. He'll test his ability to identify a prime number. 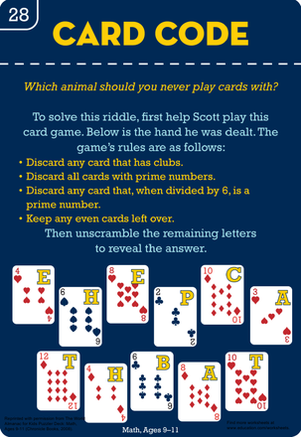 Get your students comfortable with distinguishing and discussing prime and composite numbers with this lesson that involves visuals and a card game. 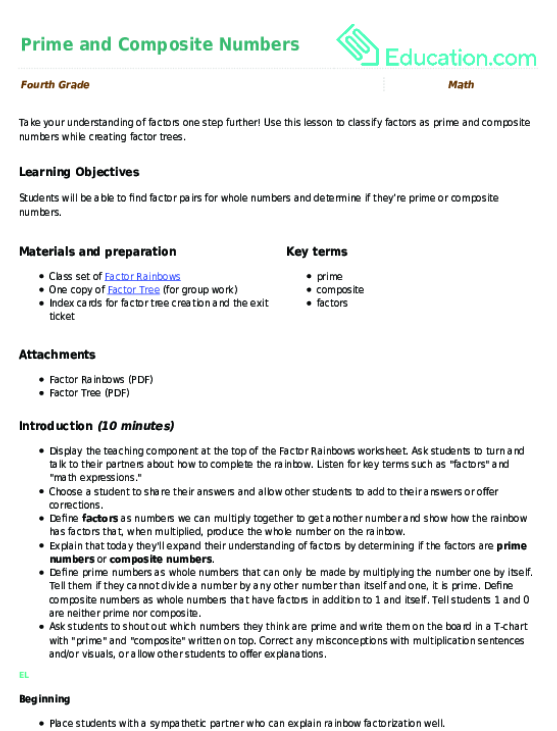 Use this lesson to classify factors as prime and composite numbers while creating factor trees. 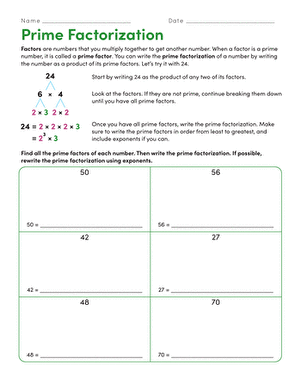 To solve this maths worksheet your kid will need to follow the instructions and use his knowledge of prime numbers. 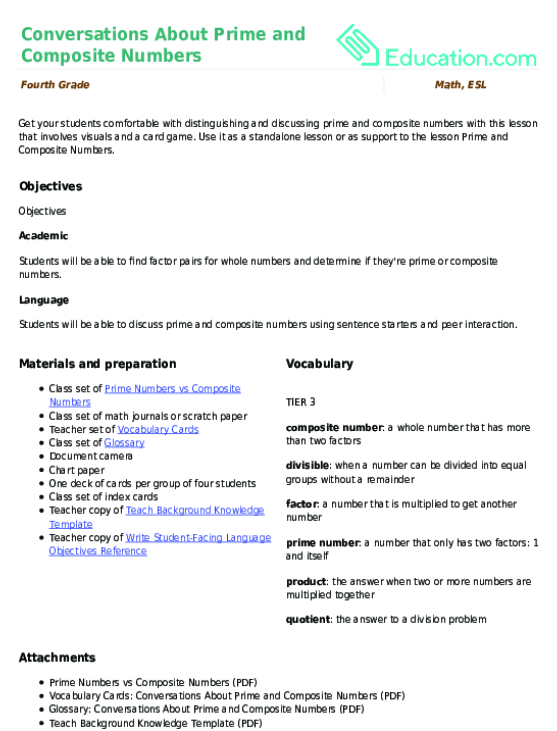 Give your child prime number practise with this simple worksheet. It's a Maze of Hexagons! Students practise identifying prime numbers, regular polygons, and irregular polygons!